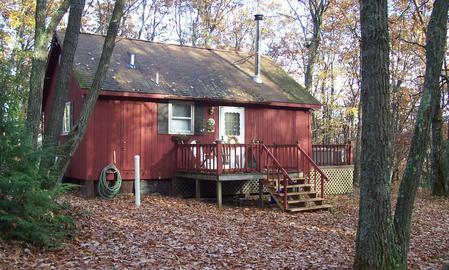 Non-commercial guest cabin inviting new friends and old friends to enjoy the fully-furnished cottage. Two bedrooms, full bath, sleeps six, linens provided, full kitchen, air conditioning, woodstove, tv & dvd player. Pets welcome. Equines accommodated in 4 shady paddocks with water. Six miles north of Route 6 in Gaines Township near the Tioga State Forest.